The origins of surfing is rooted in ancient Polynesia after a longue-durée process amongst the natives and a long-term relationship to the sea and the waves. It is believed that surfing, at least in its prone style, existed (at least) from the first millennium. The first reference to “stand-up” surfing dates back five hundred years, in a Hawaiian legend, which was recorded in the 19th century, since the ancient Hawaiian language had no writing (before the 19th century). At present, the oldest preserved surfboard dates back to the 18th century, and is now in the Bishop museum of Honolulu. Although the Spaniards were the first navigators to cross the Pacific Ocean, and thus the heart of Polynesia during the 16th century and the beginning of the 17th century, there are no accounts about surfing in any of the surviving diaries. The first surviving reference to surfing belongs to the first of James Cook’s voyage. Joseph Banks (2006, 92-3), in 1769, was the first to write in his diary about that “estrange diversion” of the natives of Tahiti. Although he mentioned canoes, it is apparent that they were in fact surfboards. Another recorded reference (up to the present) comes from James King (1789, 145-7), in 1779, during the third expedition of Cook, when they discovered the Sandwich Islands (the Hawaiian Islands). The first graphic representation in history of a surfer on a surfboard, by John Webber, the official artist for James Cook’s third voyage of discovery around the Pacific (1776-80). At a later point, in the last quarter of the 18th century (Morrison, 1935), and the first half of the 19th century (Ellis, 1823 and 1832), additional travelers wrote about surfing in their voyages to the Pacific. Thanks to their accounts, it is possible to reconstruct the geographical area in which surfing (prone, drop knee or stand up) was practiced when Europeans first arrived in Polynesia (Society Islands, Marquesas, Rapa Nui, Cook Islands, Hawaii, Tahiti and New Zealand). It was in Hawaii, however, where the surfing technique and the surfboard technology reached the highest level. In other parts of the Pacific (outside Polynesia), such as northern Peru, there is evidence of playful activity on the waves, although they surfed sitting in one-person boats for fishing, which in Peru is called: caballitos de totora. This activity dates back to the Mochica culture during the first millennium. The first written reference in history to this activity is from José Acosta (1792, 150), when he witnessed one of these fishermen scenes in Callao, in the 16th century. Additional references to this ancient activity are recorded in certain huacos (a human pottery artifact characteristic of the Mochica culture) dating from the first millennium, where fishermen sitting in their caballitos de totora, presumably pushed by a wave, are represented. The surfing of today in Peru is not a result of the evolution of this old activity, but the influence of surfing in Hawaii. There are also prone surfing accounts from European travellers in Western Africa in the Nineteenth century (Alexander, 1837, 192). The first graphic representation in history of a surfer on a surfboard is by John Webber, the official artist for James Cook’s third voyage of discovery around the Pacific (1776-80), when he painted a general view of Kealakekua Bay, in 1779, on Hawaii Island. Numerous canoes, swimmers and one native paddling on his surfboard surround the Discovery and Resolution, the two vessels of the voyage. 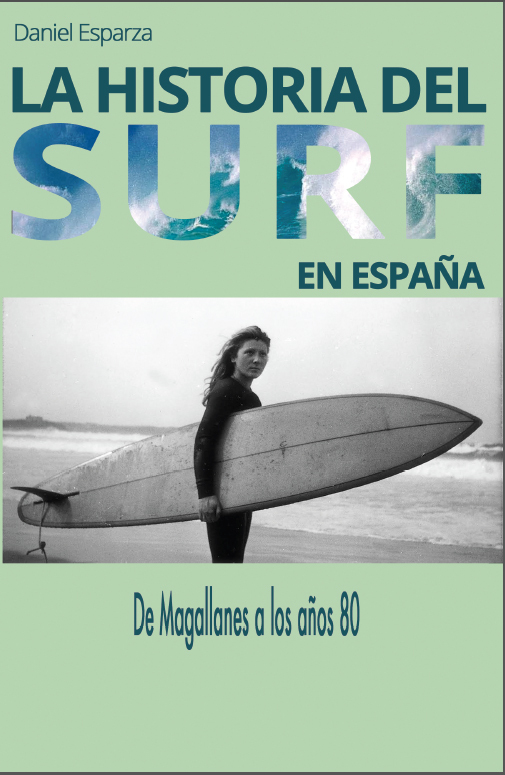 Further information about Spanish explorations in the Pacific in: La Historia del Surf en España: De Magallanes a los años 80 (Esparza, 2016).